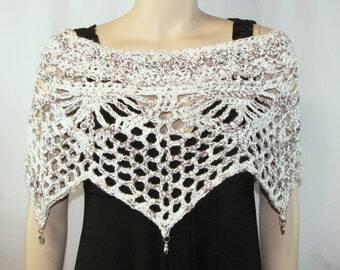 This is a lovely sparkly silver crochet poncho in a unique star shaped pattern. The charms hook onto the star points with a decorative safety-style pin. There are 8 charms in the set. 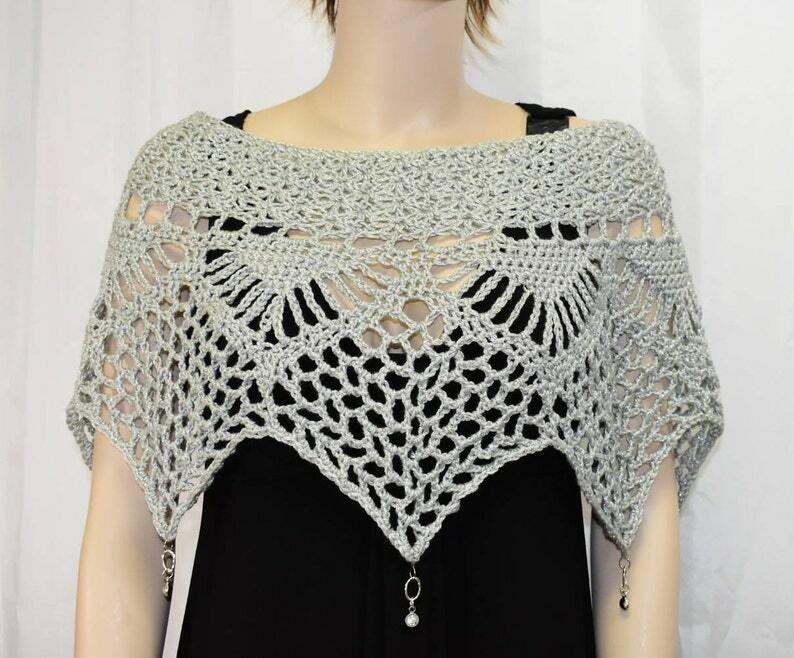 With this seven point poncho, the extra charm can be pinned onto the front if desired. NOTE: The charms shown in photos 2 - 7 have been sold and are no longer available. The charms included with this poncho are shown in photos 1, 8, and 9. 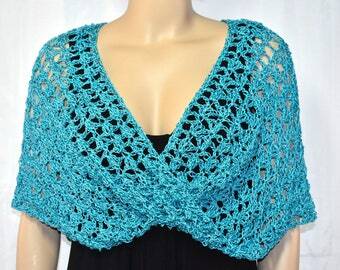 The poncho is 17 inches at neck opening (34 inch circle) and 54 inch circle around the bottom. 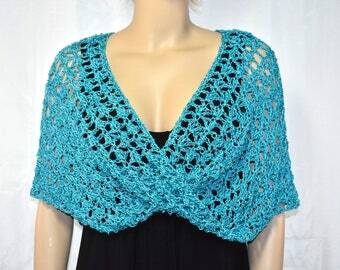 The poncho is 13 inches at the longest points. It's best to hand wash this poncho and lay it flat to dry.